HIGH TECH, LOW LIFE follows the journey of two of China’s first citizen reporters as they travel the country - chronicling underreported news and social issues stories. "A wonderful subject and sublime execution." Maing suggests that the contrasts between [Zhou and Shihe] illustrate a fundamental rift in Chinese society, dividing those with first-hand experience of Maoist rule from those who came of age under China's transformation into a capitalist superpower. [Zhou] and Shihe are both brave souls practicing journalism in its purest, most exciting form - in a country where the truth is so scarce and powerful that it can change lives just by being told. An inspiring look at the resilience of the human spirit. A wonderful subject and sublime execution. An intriguing window into a technological revolt. Intrepid in pursuing the truth. 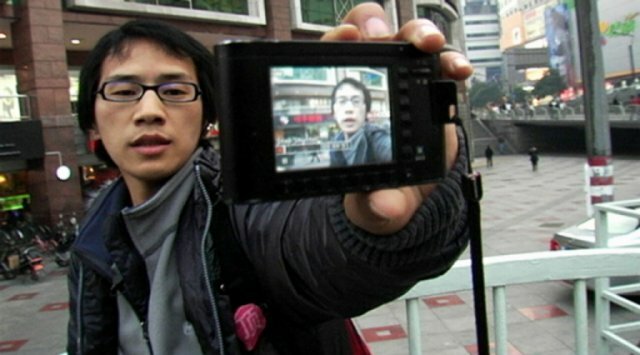 Maing displays a true documentarian's dedication in presenting a humane and at times humorous portrait of two renegade bloggers zealously seeking truth while cleverly dodging censorship in Communist China. Its poetry, stunning visuals and intimate encounters with the personal lives of the two traveling bloggers kept me intrigued. A delightful surprise at the Tribeca Film Festival. A dynamic, highly entertaining documentary. Absorbing doc with a unique close-up of two Chinese citizen reporters engaging in the risky business of independent reporting. Through an accumulation of closely-observed detail, High Tech, Low Life creates a devastating portrait of life in an authoritarian society. What makes the documentary all the more moving is how it reveals that no matter how powerful the Chinese government may seem to be, there are always Chinese citizens willing to risk their lives to speak out for freedom. It's impossible not to feel connected with these guys and this movie. Regular people combating online censorship to tell the stories of other regular people may seem a distant topic to many, but the humanity of this story is universal.